I was lucky enough to travel to Lisbon in the late spring, and captured this dynamic scene as I was taking a river cruise. 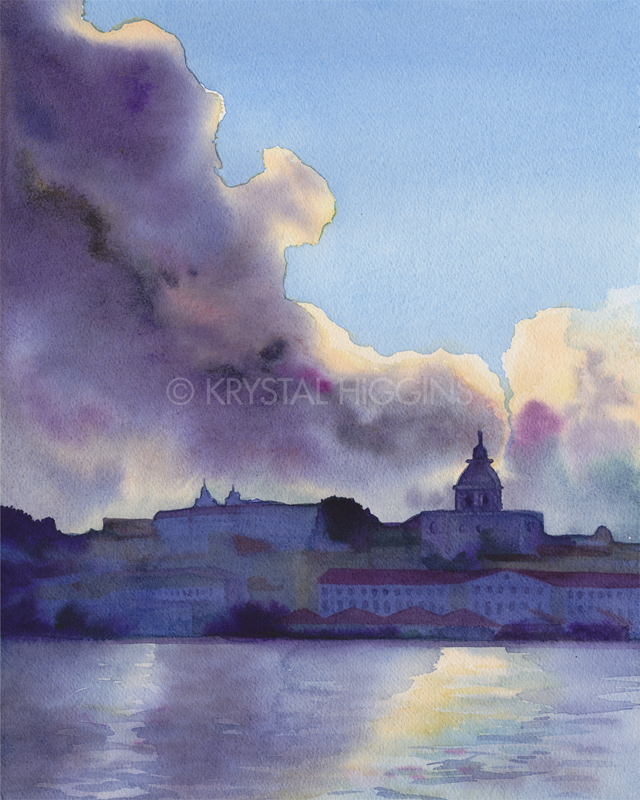 Lisbon is silhouetted against a turbulent sky after a brief, but turbulent, rainstorm. It was quite a challenge to keep color in the piece without taking away from the shapes the clouds were making.